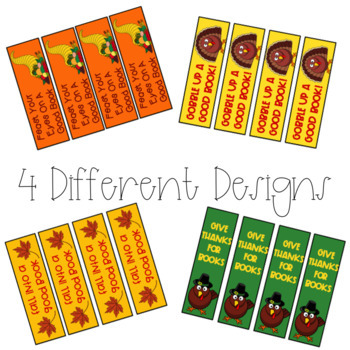 Thanksgiving Bookmarks. BOTH color and black and white options available! These bookmarks are ready to be printed and given to your students. They are a cute and inexpensive present. 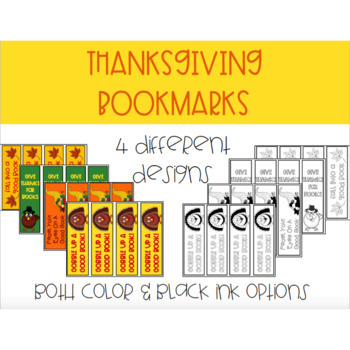 This pack includes four bookmarks on each page and four different designs.